Breakfast rolls & burger delivery made easy. Ready to heat products delivered to your place of business. 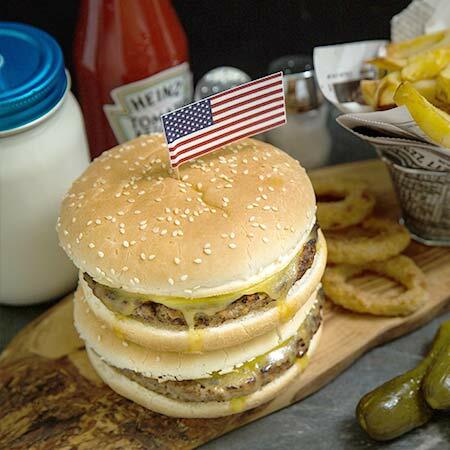 We are wholesale burger suppliers that deliver tasty, ready to heat products to your place of business 7 days a week. We have two burgers in our range; a beef burger and a chicken burger. Both of these products come in a traditional sesame seed bun, with a slice of cheese. Whether you serve the burgers just as they come, or plate them up with salad for your customers, our great tasting burgers are top sellers on our menu. 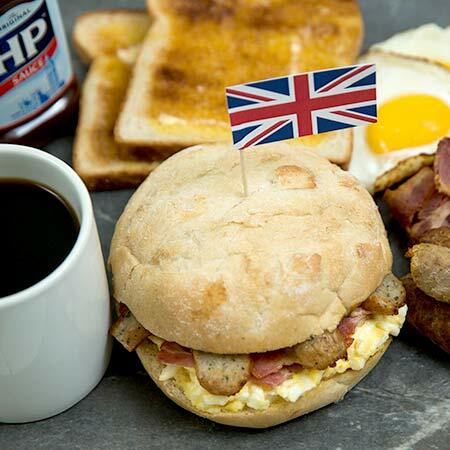 Nothing quite beats the British breakfast traditions and our breakfast rolls remain one of our most popular products. They are ideal products for outlets who want to provide a quick to prepare hot breakfast option or where space is limited. Our generously sized signet rolls are full of Great British ingredients. We provide two breakfast options within our hot eats range, the British Breakfast roll and the British Bacon roll. The British Breakfast Roll: egg, bacon, sausage & classic HP Sauce. The British Bacon Roll: back bacon in a buttered floured bap. The rolls are supplied in a microwavable packet. Both can be prepared quickly in the microwave in just one minute – ideal if cooking space is limited.